What To Look At When Buying a Refurbished IPad And Why Should I Buy One? The iPad has become a basic thing to have in our days just like a watch or a telephone. Regardless of the age, anyone has one. But in spite of its growth and popularity, buying a new iPad is no cheap business. This is why more and more people are buying a refurbished iPad, because the savings are big and the differences between the two of them are few. But this doesn’t mean that you shouldn’t make some research before you buy a refurbished iPad. Here are some issues you have to investigate before making a final decision. 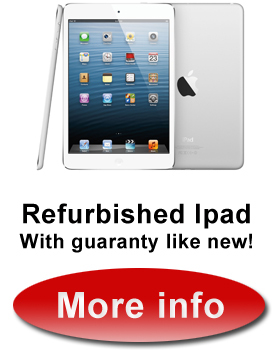 You will find websites with very different prices for a refurbished iPad. For example, the official Apple site has discounts up to $60 comparing to the new one. Other sites have higher discounts, even up to $100 comparing to a new iPad. 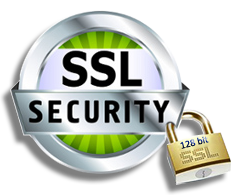 That offers exists, there are real but you have to be careful and to choose a dealer with credibility and not some obscure site no one heard about. The great advantage to buy directly from Apple is of course the one year warranty that others sites doesn’t provide even if they have bigger discounts. If you don’t want to buy directly from Apple, that’s fine, but an absolutely stay away from sites are action sites. I don’t know anyone who can say that at the end, he spent less than he earned with that kind of sites. It’s a lottery and few are winners. Before making the purchase you better check the condition regarding the transport fee, the warranty and term of use or for returning products. You also might want to read the reviews of others who bought from the same website that you intend to use. Do not take the seller by its word as in today’s world the reputation is everything. So, if you had your eyes and mind set on an iPad for a while but the price was too high to make a purchase, a refurbished product is the right answer for you. There are tons of reasons but I will summarize the most common and important ones in a few phrases. The refurbished iPads look just the same as new ones, no scratches, no torn cases. And the big irony is that they might even work better than the new ones because they are submitted to a technical investigation before are being sold. That is if you are buying directly from Apple I mean. Refurbished iPads bought from Apple also came with the famous one year warrantee and they have the same technical features as the brand new ones. Depending of your location, but most the time the shipping is free. As you can determine for yourself, there is no reason why you should prefer a new iPod to a refurbished one, especially when the money is an issue.